Chinese military assets in the South China Sea. While it is difficult to discern China’s intentions regarding the use of force in the South China Sea, one thing can be stated with certainty: Beijing has systematically bolstered the capabilities of its navy, transforming a large but unimpressive coastal-defense fleet into a significant deep-water force. While the PLA navy (PLAN) still retains many small coastal vessels, it also boasts a growing flotilla of large, oceangoing warships equipped with modern Russian and Western missile systems. This, in turn, has helped spur other states in the region to build up their own naval capabilities. As a result, Southeast Asia now finds itself embroiled in a naval arms race that shows little sign of slowing down. The transformation of the PLAN began in the mid-1980s, following a decision by the Central Military Committee to shift the emphasis of Chinese military planning from all-out war with the Soviet Union to regional conflict on China’s southern and eastern periphery. Under the leadership of Admiral Liu Huaqing, commander in chief of the PLAN from 1982 to 1987, the navy embraced a strategy of “offshore active defense,” which bolstered its capacity for sustained combat operations on the high seas.56 According to Liu, implementation of “offshore active defense” meant that “the Chinese Navy should exert effective control of the seas within the first island chain”—that is, the waters bounded on the east by the Japanese archipelago, Taiwan, the Philippines, and Borneo (and encompassing the East and South China Seas). To exercise such control, Beijing has had to replace its older, Korean War—vintage vessels with modern warships capable of operating on the high seas for extended periods of time. Lacking many of the technologies to accomplish this, China has sought to acquire Western electronics and missiles for ships produced in its domestic shipyards while turning to Russia for transfers of ready-made warships. Since 1985, the PLAN has introduced two new classes of surface combatants: the Luhu-class destroyer and the Jiangwei-class missile frigate, both of which are furnished with advanced Western navigation gear and, in the case of the Luhu, the French-built Crotale surface-to-air missile. To further expand its high-seas combat power, Beijing has purchased two fully equipped Sovremenny-class destroyers from Russia and is considering the acquisition of two more. The Chinese have also procured other systems intended for use in offshore power projection. These include several types of amphibious assault vessels plus a variety of naval support ships. To provide these vessels with adequate air cover, China has purchased several dozen Su-27 Flanker combat planes from Russia and plans to build another hundred or so in domestic factories. (Significantly, the first group of Su-27s were deployed on Hainan Island, on the edge of the South China Sea.) China has also sought air-refueling technology from Iran and Russia and is exploring the development (with Russia) of a modern aircraft carrier. It is no doubt true that these moves are motivated, at least in part, by China’s determination to regain control over Taiwan—through force if necessary. Obviously, naval and amphibious forces of these types would be needed for any Chinese attempt to invade and occupy Taiwan. At the same time, it is evident from official government statements and from the actual deployment of Chinese forces that Beijing also intends to use them in southern waters, to enforce Chinese claims to the Spratlys and associated drilling areas. This is evident, for example, in the basing of Su-27s on Hainan Island and in the rotation of modern warships in and out of the area. Whatever China’s ultimate intentions, other states in the region have interpreted the Chinese naval buildup as a drive for military dominance in the South China Sea, and have built up their own forces accordingly. As recently as fifteen years ago, the nations of Southeast Asia possessed few deep-sea warships. Since the late 1980s, however, these countries have engaged in costly efforts to equip their navies with modern vessels capable of operating on the high seas. Although intended for a variety of purposes, these ships are clearly designed to provide their owners with a capacity to protect vital sea-lanes and their extensive EEZs in the South China Sea. Leading the way is Malaysia. An increasingly affluent nation of 24 million people, Malaysia has sought to develop the largest and most potent navy in Southeast Asia. In 1995, it purchased four fully equipped missile corvettes from Fincantieri of Italy; originally built for Iraq (but never delivered because of successive arms embargoes), these 750-ton vessels are armed with a 76mm gun and Otomat antiship missiles. Malaysia has also acquired two F-2000 frigates from Yarrow Shipbuilders of Glasgow and fitted them with a panoply of advanced European gun and missile systems. And, in its most ambitious project yet, Malaysia has contracted for the production, in domestic shipyards, of up to twenty-seven Meko-100 patrol ships, making this the largest multiship naval construction program now under way in Asia. Thailand and Indonesia, in differing ways, have also endeavored to assemble a significant deep-sea navy. Thailand has sought prominence by acquiring the region’s first aircraft carrier, the Chakri Naruebet. Built by EN Bazán of Spain, the 11,500-ton, $360 million carrier is intended to carry up to twelve medium helicopters or fifteen vertical-takeoff-and-landing (VTOL) planes. The Thais have also purchased two Knox-class frigates from the United States and three 545-ton patrol boats from Australia. Indonesia, meanwhile, attempted to jump-start its naval expansion plans by buying the entire navy of the former East Germany. Included in this thirty-nine ship deal, concluded after German reunification in 1991, were sixteen corvettes, nine minesweepers, and a variety of support ships. On top of this, Indonesia has purchased six surplus frigates from the Netherlands and three from the United Kingdom. Even the smaller states of the region have invested in new naval capabilities. Singapore, with a population of only three million, has acquired six Victory-class missile corvettes from Germany and is building a fleet of twelve Fearless-class offshore patrol vessels; the Philippines has acquired two ex—Royal Navy patrol boats from the former British naval base at Hong Kong; and Brunei has ordered three missile-armed corvettes from Yarrow Shipbuilders in Scotland. While it may be some years before all of these efforts reach fruition, the various naval acquisition programs now under way in China and Southeast Asia will add as many as one hundred new surface combatants to the rosters of regional powers over the next ten to fifteen years—a buildup unmatched in any other area of the world. The escalation of the naval arms race is accompanied, moreover, by significant additions to the region’s air forces: all of these countries have acquired long-range patrol planes, as well as fighter craft equipped with sophisticated antiair and antiship missile systems. These and other initiatives have substantially enhanced the ability of these states to conduct sustained military operations on and above the South China Sea. The South China Sea is not the only area in East and Southeast Asia where armed conflict could erupt over the possession or flow of vital oil and gas supplies. For example, tension between China and Japan may increase over possession of the Diaoyu Islands (Senkaku in Japanese), a group of uninhabited reefs and islets in the East China Sea that have been the site of low-key air and naval clashes over the past few years. (Like the Spratlys, these islands are of interest only insofar as they establish ownership over a large stretch of water that is believed to sit on top of valuable oil and gas deposits.) Conflict could also erupt between Indonesia and its neighbors over the contested Natuna Island area, which sits astride a vast pool of natural gas. 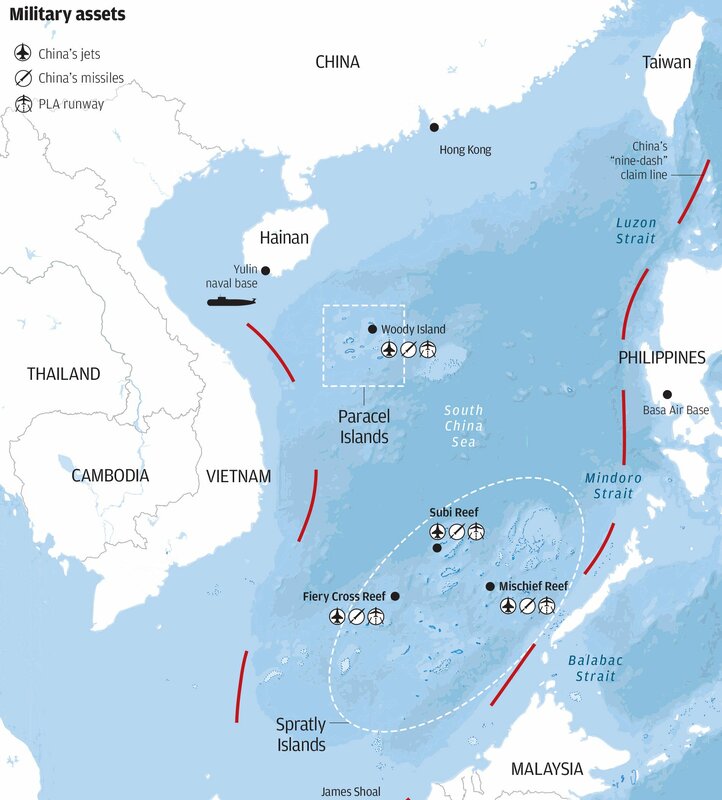 Nevertheless, the South China Sea is the area most likely to witness large-scale warfare, because all of the factors associated with resource conflict are concentrated here. There is the evidence of untapped reserves of oil and natural gas, along with a complex mosaic of overlapping territorial claims. All of the states involved in these disputes seek to maximize their exploitation of maritime resource zones, and all have demonstrated a willingness to employ force in the protection of offshore interests. All, moreover, have beefed up the capabilities of their air and naval forces. On top of this, three of the world’s leading military powers—the United States, China, and Japan—possess vital interests in the area and are prepared to defend these interests with military means if necessary. As with the Persian Gulf and the Caspian Sea, therefore, the South China Sea harbors all of the ingredients for a major military confrontation. Any such confrontation is likely to commence as a naval incident sparked by competing claims to one of the Spratly Islands. In one such scenario, Chinese warships might sink a Philippine vessel seeking to gain access to Mischief Reef or one of the other Philippine-claimed islands occupied by China. In retaliation, the Philippines would bomb Chinese positions on the islands, provoking Chinese air and missile strikes against military installations in the Philippines. 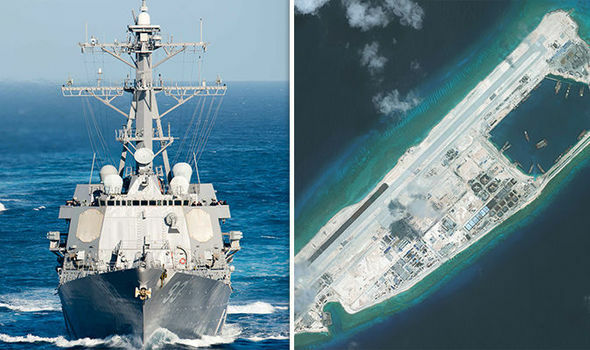 The United States would respond to this crisis by sending an aircraft carrier battle group into the area, intending to intimidate China and preserve the “freedom of the seas.” If China refused to back down under these circumstances and attempted to block the American fleet, a Sino-U.S. conflict might erupt, entailing strikes against each other’s naval forces. From there, one can imagine a wide variety of escalatory steps leading to a much larger regional conflict. This is by no means the only scenario that would entail a significant risk of escalation in the South China Sea. Increased friction between China and Japan, for example, could lead to the interdiction of Japanese oil tankers by Chinese warships in the area. Such a move might provoke the use of Japanese and, eventually, American warships to repel (or sink) any Chinese vessels engaged in the operation. Fighting between local powers in the Strait of Malacca—the main oil transit route between the Indian Ocean and the South China Sea—could also provoke intervention by the United States and/or Japan. In all of these cases, and many others, it is the conspicuous convergence of vital energy, economic, and strategic interests that contributes to the high risk of armed conflict.